The Environmental Protection Agency (EPA) announced that it will not move forward on an asbestos ban, despite Congress giving the agency the power to do so under the Frank R. Lautenberg Chemical Safety Act. Further, the agency said it will not prohibit new uses or review exposures from abandoned uses of asbestos. Abandoned or inactive uses are also referred to as legacy uses, many of which are unregulated. This refusal to protect the American public hits vulnerable populations extra hard, especially young children and communities living near factories where asbestos is used in manufacturing or asbestos abatement dumps. In the Problem Formulation of the Risk Evaluation for Asbestos document, the EPA claims to “refine the conditions of use, exposures and, hazards presented in the scope of the risk evaluation for asbestos and presents refined conceptual models and analysis plans that describe how EPA expects to evaluate the risk for asbestos.” According to investigations by Snopes.com, the EPA’s new rule (at first) “blocks some currently unregulated but inactive uses of asbestos while (later) providing a framework for” formal approval should those unregulated uses pass a safety review. This means that some old asbestos uses, like insulation, plaster, and floor tile, could be allowed to be instituted again. Additionally, many scientists argue that the EPA’s safety assessment is faulty and does not take into consideration the ways in which Americans are exposed to asbestos such as talc skincare products as well as contaminated air, soil, and water. Asbestos is a fibrous mineral known for its insulating and fire-retardant properties that was once a common ingredient in insulating, industrial, and construction products. Its fibers produce a fine dust that, when inhaled, form deposits in the lungs that cause serious and deadly injuries. For decades, it has been widely accepted that asbestos causes cancer, including mesothelioma. The CDC estimates that up to 15,000 Americans die from mesothelioma, asbestosis, and other diseases resulting from asbestos exposure each year. Despite this fact, the EPA still has not issued a complete ban on asbestos. The United States is one of the few industrialized countries in the world that still allows the carcinogen in manufacturing. According to one study, children are reportedly more vulnerable than adults to asbestos exposure and likely disease over their lifetime. Without an asbestos ban, our families are at risk of exposure to asbestos-containing products that remain installed in our older homes, schools, and other old buildings. Whole communities are potentially at risk when old asbestos is disturbed through natural disasters such as flooding and wildfire. 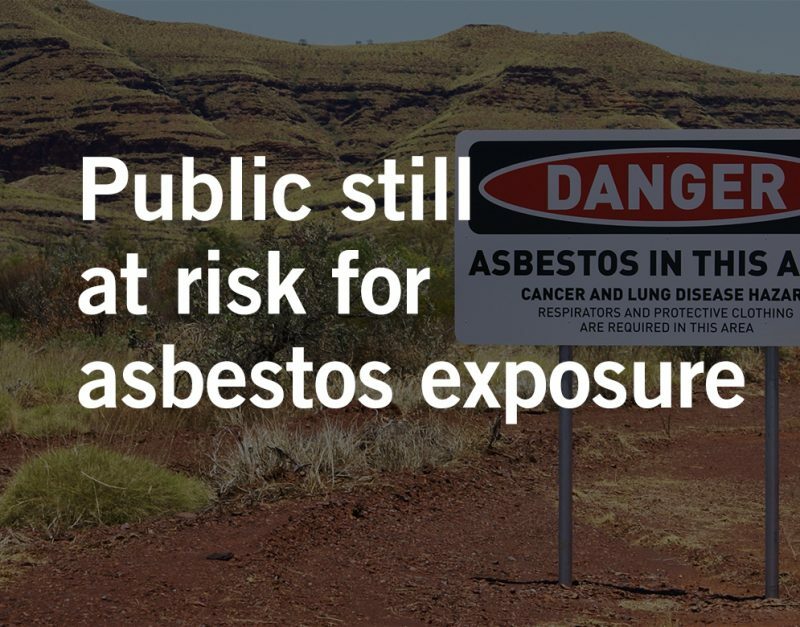 Coupled with current uses of asbestos in manufacturing and the potential for new uses, several generations to come could be in danger of exposure. This increases the likelihood of contracting mesothelioma. If you or a loved one are a victim of an asbestos exposure-related illness, Waters Kraus & Paul may be able to help. Using our extensive resources, our asbestos lawyers have helped victims of asbestos exposure that occurred here in the U.S., including Hawaii and Alaska, as well as those who were exposed abroad. With a national presence and a wealth of experience prosecuting mesothelioma cases, Waters Kraus & Paul provides aggressive representation throughout the entire course of litigation. To learn more about legal representation at Waters Kraus & Paul, or to have one of our asbestos attorneys review your potential mesothelioma or other asbestos-related illness case, email us or call 800.226.9880.